Not everybody is blessed with perfect vision or eye health, and the list of potential afflictions is long. However, many eye problems are correctable, and early detection can be key. Amblyopia, or the more commonly known term, “lazy eye,” is a problem that varies in its severity affecting between 2-5% of the population. Amblyopia is a sight disorder which shows a visible disconnection between the eye and the brain. It results from eyes misaligning with each other: one eye being more near or farsighted than the other, or one eye being misshapen and causing focus problems. People with amblyopia sometimes appear to be looking in two different directions at once. Though their depth perception isn’t strong, people with amblyopia function fine in most situations. It often goes undetected for years due to people naturally using their stronger eye to pick up on visual cues. Eventually, the problematic eye becomes so infrequently used that it becomes “lazy” and doesn’t point toward what the person is looking at. People with amblyopia may suffer from double vision, reduced reading speed, weaker visual acuity, and may be less sensitive to contrast and motion. Children should be checked for amblyopia before they are school-aged to ensure that both eyes see equally well, and that each moves properly. When someone is diagnosed with amblyopia, the most common treatment is to force the weaker eye to work harder. First, the optometrist will correct the weak eye’s nearsightedness/farsightedness/astigmatism with glasses or contacts. Then, the individual should cover the good eye with a patch for several hours each day (or use prescription eye drops containing atropine, which has been shown to encourage compliance during amblyopia therapy). After six months of treatment, researchers found that the drug atropine, when placed in the unaffected eye once a day, works as well as eye patching and may encourage better compliance. Compliance is an important factor in the success of amblyopia therapy. After a period of time, the weak eye and the strong eye should begin to balance out. But, are eye patches the best we can do in our technologically advanced times? A body of new tech studies using computer gaming to correct amblyopia is growing. New technology is showing real promise in correcting eye problems like amblyopia. Perceptual learning (practicing a set of visual tasks) with computer games is proving useful to increase visual acuity and contrast sensitivity in people with amblyopia. Lazy Eye Blocks is based on the video game Tetris, but the puzzle blocks are reduced to red or blue colors. The player must wear tinted glasses (similar to the old school red and blue 3D glasses), so each eye can only see half of the pieces. To succeed in the game, players are forced to use both eyes equally. A series of games are available using this strategy, with most of them being fairly basic. A more cutting edge project exploits virtual reality to combat amblyopia. The game is Diplopia, designed for use with the Oculus Rift virtual reality headset. The headset can present each eye with different components of a game, which is beneficial in balancing out eye response. The game’s creator, James Blaha, suffers from amblyopia himself and was mistakenly told by doctors that he couldn’t expect any improvement once he’d entered his teen years. Blaha used Indiegogo to crowdfund his project, and it proved immensely popular. Unlike games such as Lazy Eye Blocks, Diplopia aims to be an immersive and fully engaging experience. The game will include light and contrast options to accommodate different eye conditions. Although the game’s Indiegogo site states that it hasn’t yet been proven to improve amblyopia, Blaha is optimistic that tests will confirm its success. In an interview with Wired, he talks about his personal VR experiments which allowed him to see an object where both eyes contributed to the image for the very first time. 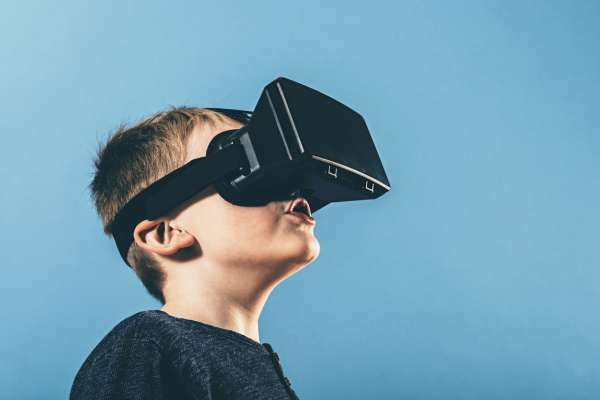 FYidoctors is excited to see how gaming technology is showing real potential in the field of eye health, and we look forward to seeing more research about how virtual reality can be used for amblyopia and other eye problems. Want to learn more about how to manage amblyopia? Read on about how technology is changing the way we look at and treat health disorders.